In her recent Wall Street Journal op-ed, "Actually, Raising Beef Is Good For The Planet," Nicolette Hahn Niman, a self-described vegetarian rancher, argues that raising cattle has environmental consequences that have been exaggerated by mainstream science and the media. Contrary to conventional wisdom, which is that beef production is ecologically unsound, she insists that raising cattle can lead to "an environmental gain for the planet." Op-ed writers such as Niman are not obligated to objectively report facts the way that standard news reporters are. Instead, their task is to curate their own evidence powerfully enough to cause doubt among believers-to shake things up a bit-in the service of making a point. Niman's point concerns the virtues of grass-fed beef. As such, she has her work cut out for her. We've known since the 1960's, empirically speaking, that beef production wreaks substantial ecological havocon already limited natural resources; and we know that, since that time-when the human population has doubled-that it's not only factory farms that cause ecological trouble, but small grass-fed operations run by environmentally conscious "stewards of the land." Very serious research has shown that not only is grass-fed beef ecologically damaging but that it can be more so than the factory-farmed variety. Given the depth of this scientific consensus, Niman's piece falls flat. 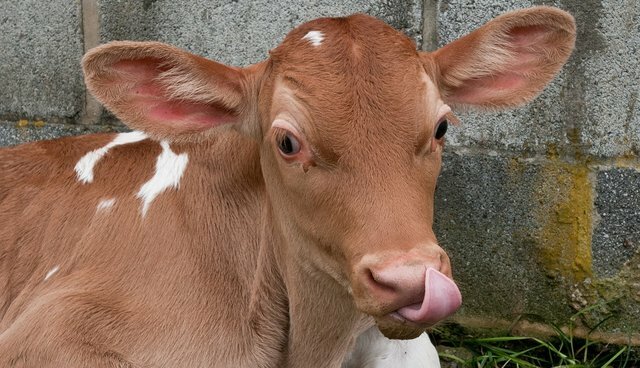 She begins by mocking the science that confirms a direct relationship between cow burps and farts and methane emissions (livestock are the world's leading cause of methane output), drawing our attention to critics who fret over "bovine burps, flatulence and even breath for climate change [emphasis added]." Note the subtle meaning lent to that sentence by the sneaky little word, "even." The idea behind it is that such a proposition-cows breathing and belching and tooting-is a little bit ridiculous. But it's not. Two decades of research shows that, silly as the idea sounds, it's true. Live animals are resource-intensive beings. At some point, Niman, if her piece is to have any standing, must demonstrate how breeding and populating the earth with resource-intensive bodies could possibly qualify as an environmental benefit. Recall, they breath and burp and pass gas and, in so doing, generate methane. Niman assures us that there are ways to mitigate methane's impact and that, rest assured, how to do so is "now under vigorous study by agricultural colleges around the world." Needless to say, readers need more than the promise of future research to be convinced by such an astounding claim. Niman spends the rest of the article asking the public to trust the scant science she has selected to support her piece. She highlights "Australian research" evidently showing how "certain nutritional supplements" can help reduce methane output. The claim seems vague, even in a cursory op-ed piece (which typically must be kept to 750 words or so). Reduce by how much? What are the supplements? Who funded the Australians? She also claims that ruminant hoof action and manure can help sequester carbon, citing as evidence an "estimate" by the Union of Concerned Scientists, an organization that frequently comes under fire for exaggerating research claims. Perhaps most critically, she adds the qualifier that carbon sequestration only works when "good farming practices are followed." That's the most important claim in the piece. But when are good farming practices followed? Niman won't say, probably because it happens in isolation and in ways that cannot be scaled up. If you study the way Niman arranges her evidence, and examine the way she dresses it up rhetorically, it may ring a bell. You may discern a familiar pattern at work: one that has been brilliantly honed by none other than global-warming deniers. This is a most disturbing implication of Niman's op-ed. In her rejection of science (such as that summarized here and reified by thousands of other studies) and her plea for our conversion to her point of view, Niman engages in the populist politics of distrust. Yes, we would all love to have an environmental justification for eating beef, but it will take more than a lazy appeal to do so from an economically self-interested rancher such as Niman.